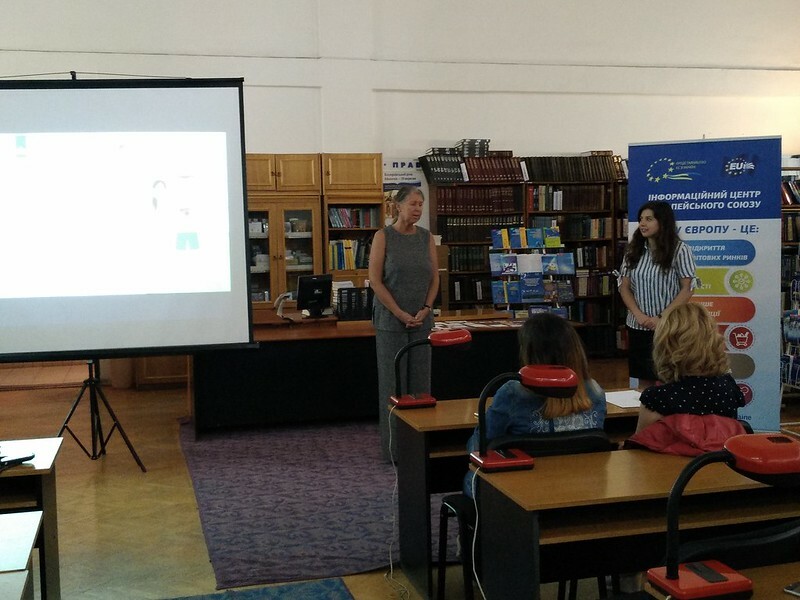 On April 24-27, the “Europe without Barriers” NGO, together with partners from the Hungarian Europe Society (Hungary), the Slovak Foreign Policy Association (Slovakia) and partner universities (Uzhhorod National University, Mukachevo State University) conducted a series of events within the framework of the project “Creative youth education for responsible mobility”. 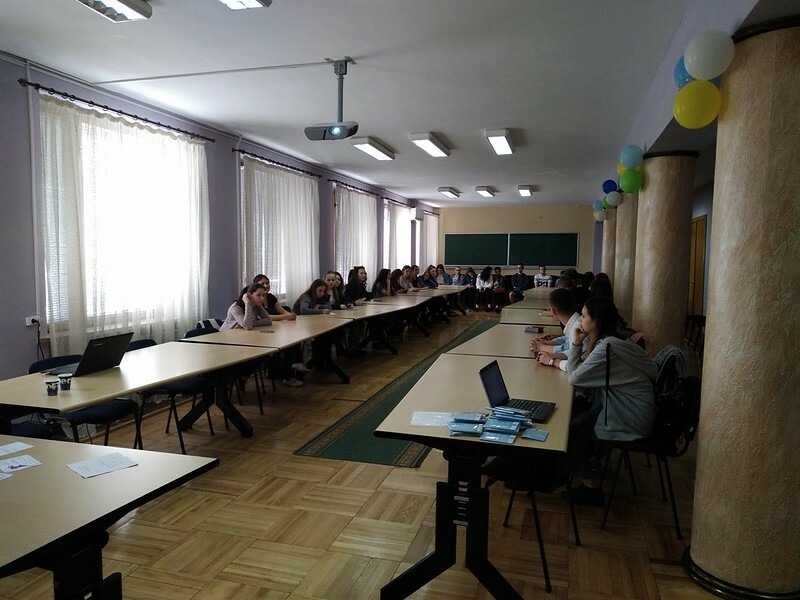 On April 24, at the premises of the Mukachevo State University, “Europe without Barriers” experts training “Training, work and trips to the Visegrad countries”, which was attended by about 40 students. During the event, videoclip “Youth for Responsible Mobility” was screened. 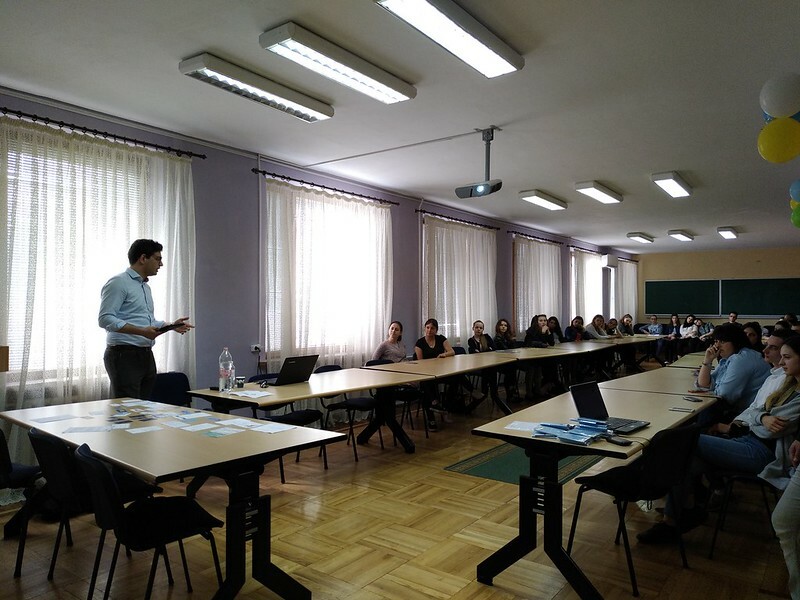 The expert of the Hungarian Europe Society Andras Radnoti has presented rules of travel, work and education in Hungary. 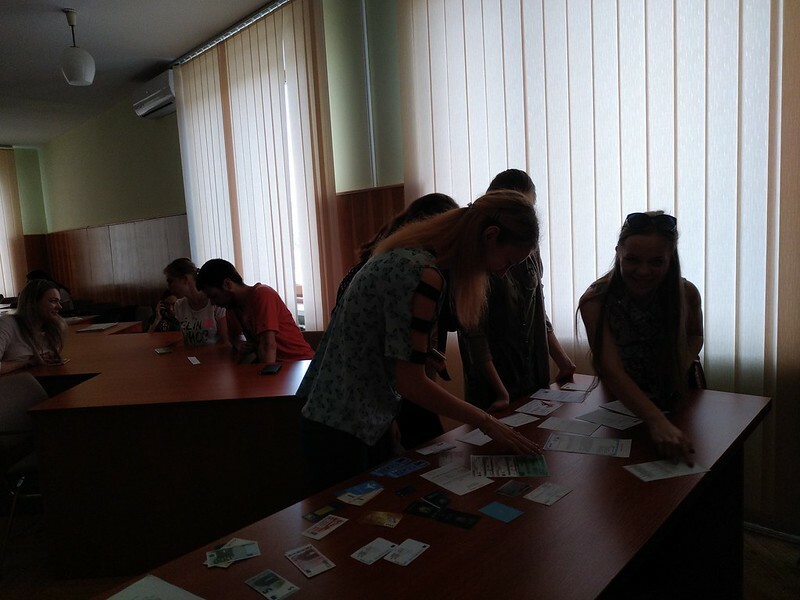 On April 25, at the premises of the Mukachevo State University, experts of the organization has conducted a series of interactive games and a quiz “Responsible Freedom: How to Travel to the EU” with students. Participants were offered to simulate a trip to one of the Visegrad countries with a pre-selected goal. To win it was necessary to properly pick up all the necessary documents. 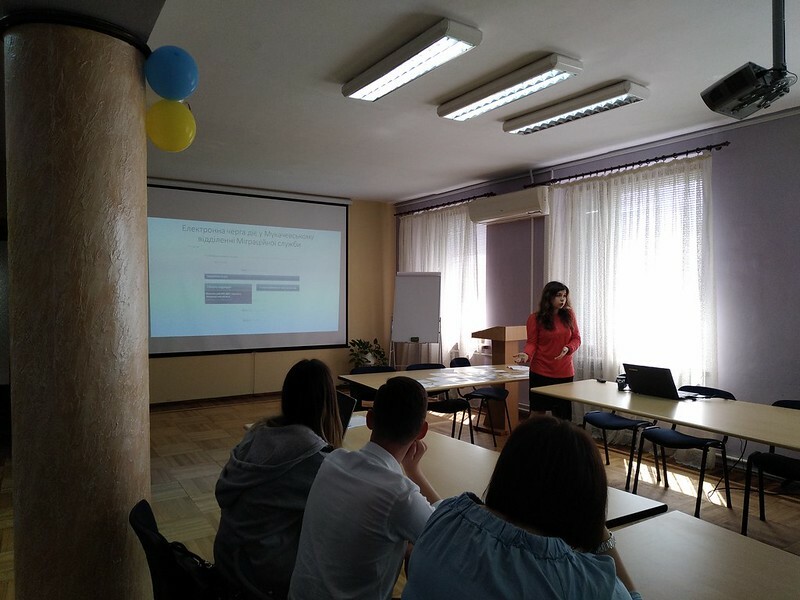 Students has also analyzed job advertisements for risk (illegal facilitating services, labor slavery, illegal employment) and participated in the quiz on knowledge of travel rules, training and employment to the Visegrad countries. After the game the participants received gifts. On April 26-27, experts from the “Europe without Barriers” conducted training and games with students from Uzhgorod National University. 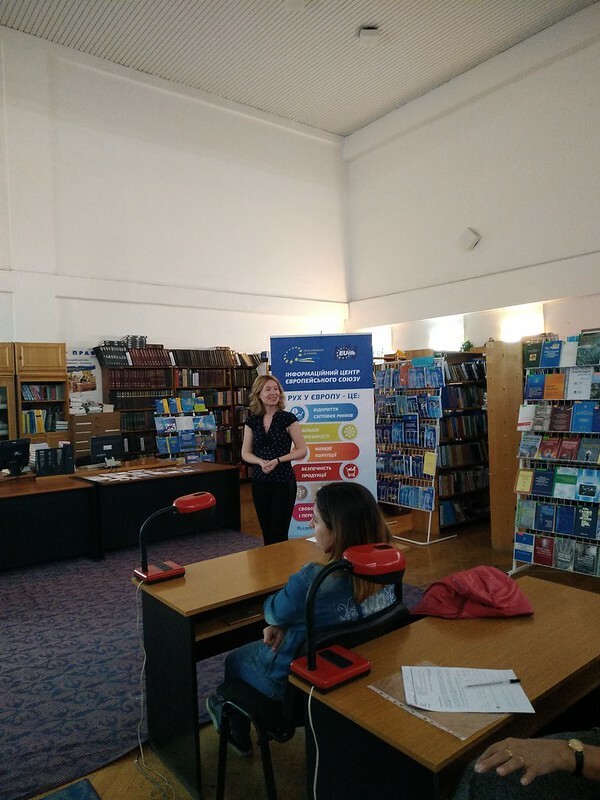 Adviser to the Consulate General of Slovakia in Uzhgorod Yana Dvoretska took part in the event on April 26. 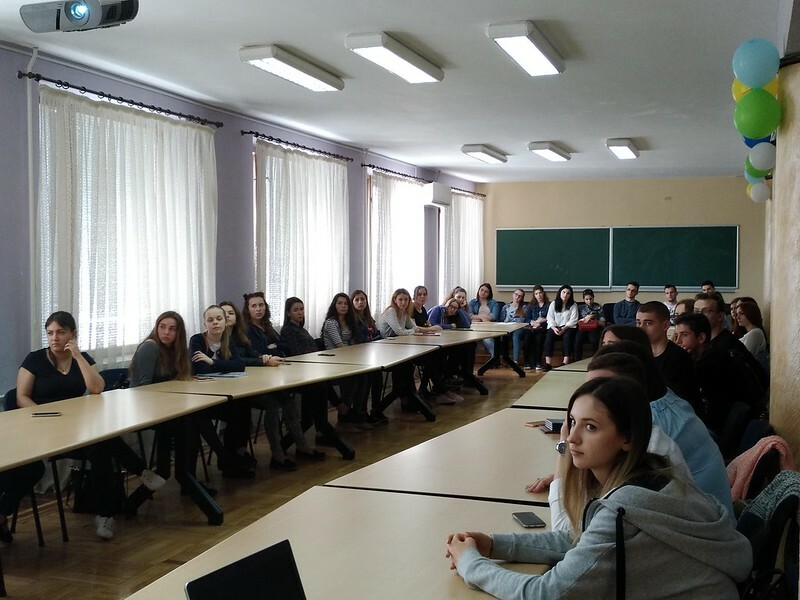 Experts from the Slovak Foreign Policy Association Natalia Maradyk delivered presentation about the types of legal residence and employment of foreigners in Slovakia, the main abuses and risks, and gave a number of tips for students.